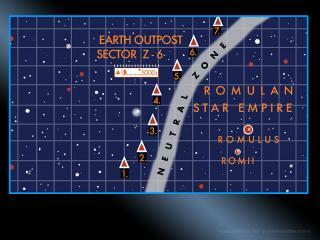 Now arrive...the Romulans. And they do not bring gifts. No, they bring war. War! There's a lot of history in this episode. 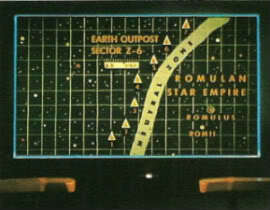 According to this one, Earth fought the Romulans 100 years earlier in a conflict now known as The Romulan Wars. After 5 years of ship-to-ship fighting (where neither side saw a visual of each other), a treaty was signed and a 'Neutral Zone' was established, a boundary between us and the Romulan Empire. Now, in this episode, the treaty appears to be broken as our outposts, set up on asteroids, are attacked by a weapon of immense power. 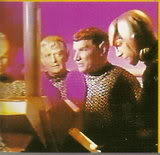 Yes, the Romulans are back, testing their new war toy, and we're in trouble. Kirk has some decisions to make, such as figuring out how to avoid a... hm, an interstellar war, maybe? This was essentially a remake of the 1957 war film The Enemy Below, replacing ship destroyers & U-boats with starships. 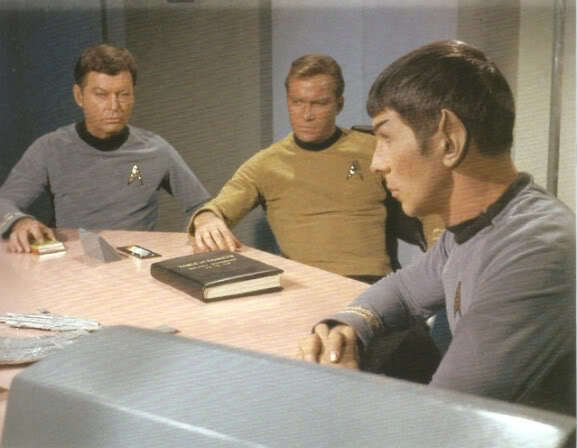 What impressed me was that this episode didn't shy away from the grim aspects of war; the writers & actors weren't kidding around here, preparing for, potentially, another years-long conflict, such as the great scene of Kirk sitting down with his key officers for a war council. The buck stops with him and his decisions will have long-reaching ramifications. Then begin the cat-and-mouse games in outer space between two starships; yet, which is the mouse? There's also a subplot involving bigotry, showing that not all of today's poor attitudes have disappeared by the 23rd century. Again, this all resembles a World War II scenario, including the mistrust that many Americans felt back then towards Japanese-Americans. More, this issue of prejudice would be revisited less subtly in the 6th Star Trek film, The Undiscovered Country. 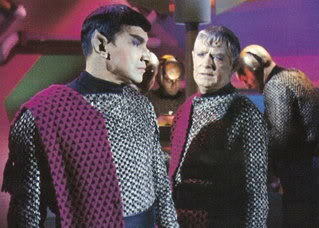 On the Romulan side, actor Mark Lenard makes his 1st appearance in the Trek universe as the Romulan commander. He's terrific in the role, not war-hungry as we might expect, the usual unexpected curves in Trek scripts. 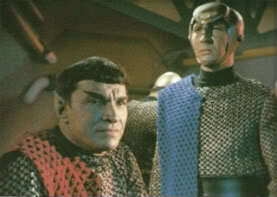 Lenard returned in the 2nd season as a Vulcan, Spock's father, so he's quite versatile. 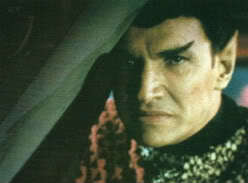 He even played a brief role as a Klingon commander in the first Trek film, Star Trek the Motion Picture. 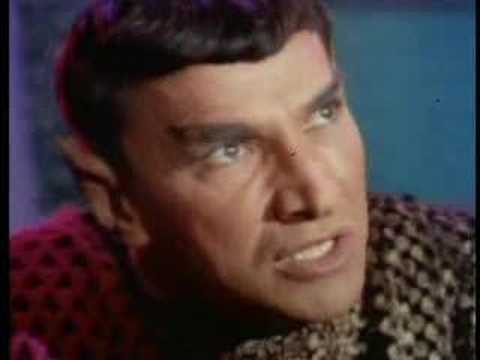 We all have to give credit where credit is due: Lenard was the actor who set the tone in portraying Romulans, elderly Vulcans and the new breed of Klingons! Quite a range. He may have been one of those actor's actors - unheralded and not recognized much outside the Trek universe. 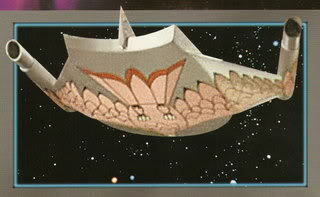 The Romulans next appeared in the 3rd season episode The Enterprise Incident (not counting their ships' appearances). A fairly gripping, tense episode. Kirk: "No, I don't really expect an answer." 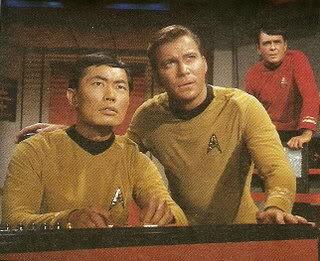 McCoy: "But I've got one; something I seldom say to a... customer, Jim. In this galaxy, there's a mathematical probability of three million Earth-type planets. And, in all the universe, three million million galaxies like this. 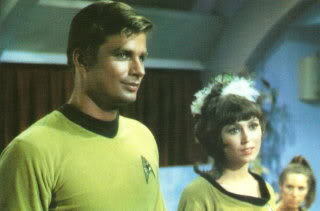 And in all of that – and perhaps more – only one of each of us. . . . Don't destroy the one named 'Kirk'." __________________ Kirk thinks he has problems? 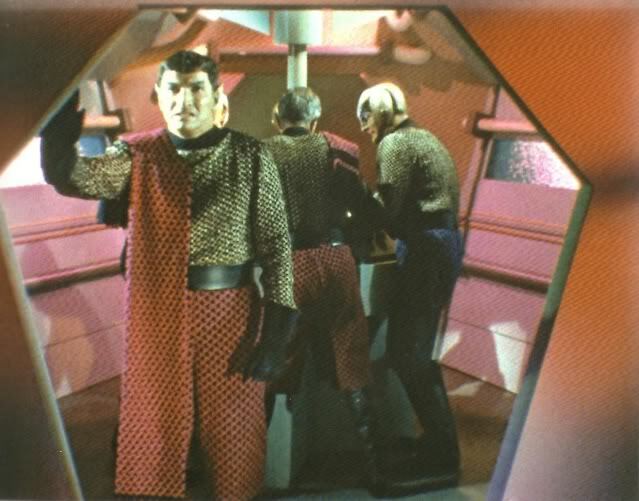 The Romulan commander looks like he really regrets getting out of bed that stardate! The episode did indulge in the old cliche with what happens to the newly married crew member. But a great episode. When I was reading Bog's post while getting ready to post it, I thought about the subplot soap opera with the newly married crewmen. It was a bit sappy, I think. The weapons room of the Enterprise was a redressing of the Engineering room. The chapel was a redressed Briefing room. Anyway, this is my favorite TOS episode I think mostly because of the cool FX. 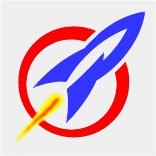 The phaser (oddly looking like what we would later come to know as a photon torpedo) sound to me was perfect. And the great soundtrack really reflected the suspense and catastrophic consequences of combat. Always liked the analogy of this being based on a WWII destroyer versus a WWII sub. Or possibly a heavy cruiser against a sub. 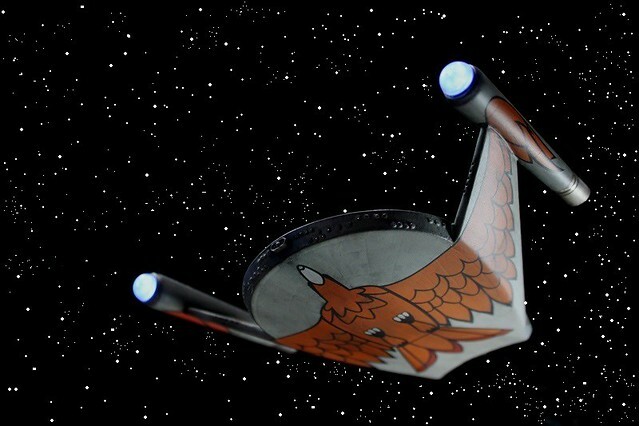 I built a large and small model version of the Romulan Bird-of-Prey. This is the smaller of the two, about the size of the palm of my hand. This is perhaps my favorite Star Trek episode. I remember seeing it when it first aired, and I recognized it's inspiration as the movie I'd watch a few years earlier on NBC's Saturday Night at the Movies — The Enemy Below! I own the DVD of that fine movie, and I've watched it many times. The plot of Balance of Terror is a great blend of drama and sci-fi action, with two admirable starship captains trying to outwit each other. I wish TOS had given us more stories as good as this one. 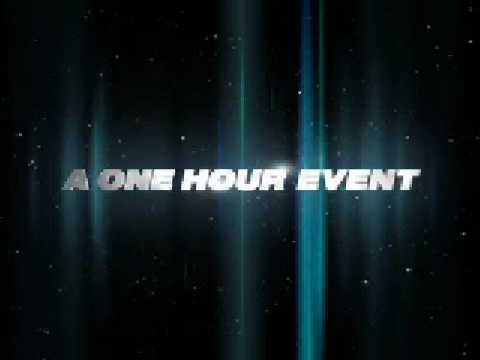 It they had, the series might have lasted much longer.